The ACMA has… concluded that it would not be in the public interest to proceed with an investigation of your complaint. When Bob Hawke and his ministers began discussing the introduction of subscription television back in the 1980s, one minister is said to have commented that any government that allowed the AFL grand final to be taken off free-to-air TV would lose the next election. The minister wasn’t the only fearful one. The long-established free-to-air operators — always hostile to any new competition — worried that the new pay TV operators would siphon off the most popular films and series, and especially the best live sport. And so, when pay TV finally began in Australia in 1995, anti-siphoning provisions were built into the law to keep popular sport on free-to-air. The stakes were just as high for the new operators. Sporting events were seen as the best way to build subscriber numbers fast — as had been dramatically illustrated when Rupert Murdoch’s BSkyB made a successful bid for the rights to English Premier League football in 1992. It’s no exaggeration to say that this move saved Murdoch’s empire. Just a couple of years earlier, his cumulative debts had become so crushing that he had been forced to accept a bank rescue package with very strict conditions. His move into satellite TV in Britain was costing him an enormous amount, and there was little sign that revenues would improve. With the Premier League breaking away from the old Football Association, and its TV rights not yet settled, BSkyB pounced. Soon, football fans could no longer watch their sport on free-to-air TV, and BSkyB subscriptions rose dramatically. 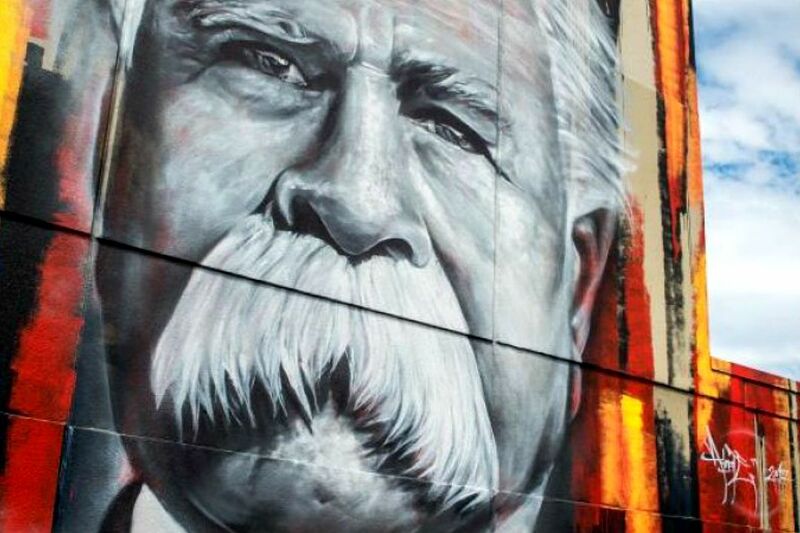 Perhaps it was the scale of this triumph that led Murdoch to try to sabotage Australia’s anti-siphoning laws. In 1993, Kerry Packer’s Nine network had bought the free-to-air rights to rugby league until 2000 for $80 million, and the matches were included in the anti-siphoning list. Rather than meekly submit, News Ltd tried to circumvent the law by creating its own competition, Super League, with twelve privately owned teams. A court ruling prevented Super League from starting in 1996, but it got under way the following year, splitting potential rugby crowds and dividing TV audiences. A peace agreement was eventually reached, but bad blood persisted among many clubs and players. For News Ltd, the immediate costs were huge and, more importantly, it had to split all the future fruits of pay TV with Packer, who now became part of the emerging Foxtel pay TV monopoly. Murdoch also suffered a rare political humiliation, with both Labor and the Coalition committing to ensure that the best rugby league games would continue on free-to-air. Howard’s battlers couldn’t be deprived of their free sport; pay TV had been put in its place. The anti-siphoning laws have clearly benefited the free-to-air industry, but they have also had a public interest rationale. As SBS argued when the policy was under review in 2009, the anti-siphoning list is about preserving access to key sporting events for the Australian public as a whole. But the stakes were high for both old and new TV players. The Sport on Television report, prepared as part of the review, found that the ten most popular programs on free-to-air TV during the previous year were sports programs, as were nine of the ten most popular programs on pay TV. (Australia’s Next Top Model came in at number nine.) The ten most popular programs on free-to-air had audiences ranging from 2.824 million (the Olympic Games opening ceremony) down to 2.131 million, and the ten most popular on pay TV ranged from 350,000 down to 314,000. These free-to-air audiences were around eight times the size of the pay TV audiences. Over the years, smaller battles erupted, for example over whether the free-to-air channels were using the rights they had purchased to broadcast live (rather than delayed) and complete (rather than partial) coverage of the events for which they owned the rights. Charges of “hoarding” led to the introduction of “use it or lose it” rules. But once the existing networks gained the capacity to multichannel during the protracted migration of Australian television from analog to digital — giving them much more airtime for screening sport — that argument disappeared. If the underlying logic of anti-siphoning debate remained constant, the attitudes of the sports associations were more volatile. Some sports felt that free-to-air broadcasters had neglected them because they drew insufficient audiences to be commercially attractive; for them, a deal with pay TV had strong appeal. Others felt that broadcasting rights should be theirs to dispense wherever they want, and that government should play no role. Three of Australia’s football codes argued to the 2009 anti-siphoning inquiry that it was their sole right to decide who televises their games. For most sports, the primary motivator is financial. Being restricted to dealing with free-to-air TV, they argue, has limited the amount they can earn for their sport. Football Federation Australia felt this strongly, and Cricket Australia mounted a similar argument. The relative bargaining power of pay and free-to-air is affected by different financial logics: free-to-air broadcasters need an event to pay for itself in its own right; pay TV operators see the rights as part of a larger marketing strategy to attract more subscribers, and are willing to pay a premium. For major sports this is a Faustian deal. Do they take the extra money or do they maintain faith with their supporters and preserve their free access? In Britain, test cricket was available on both free-to-air and pay TV until 2005, but after that it was restricted to pay. In 2005 the average free-to-air audience for live test cricket was just under two million per day; for pay TV the figure was around 200,000. Over the next three years, the pay TV–only audience was a little more than 300,000 per day. Cricket was presumably getting more money but its viewing audience had fallen to around an eighth of what it had been. Fairfax sports journalist Greg Baum argues that the result was “a decrease in participation and a general dampening of enthusiasm” for the sport. The anti-siphoning debate has been given extra urgency by the emergence of increasingly sophisticated streaming technologies. At the 2009 inquiry, Telstra and Optus both argued that the anti-siphoning list should not extend to the new media platforms. (The technology still has some way to go, though. After Optus won the rights to broadcast this year’s World Cup but found itself unable to deliver an uninterrupted stream, Australian night owls were able to watch all the matches free on SBS courtesy of the embarrassed telecommunications company.) These emerging services probably offer a more direct threat to Foxtel than to free-to-air TV. The other change has been in the government’s attitude. This first became evident in May last year when communications minister Mitch Fifield announced a substantial liberalisation of the anti-siphoning list as part of the government’s media reform package. Gone were these sports: FIFA World Cup matches that didn’t involve Australia, other than the final; the English FA Cup Final; the quarter, semi and final rounds of the Wimbledon and US Open tennis tournaments; the Australian Open; and the Masters golf tournaments. Unlike previous liberalisations, most had regularly been covered live on free-to-air TV. 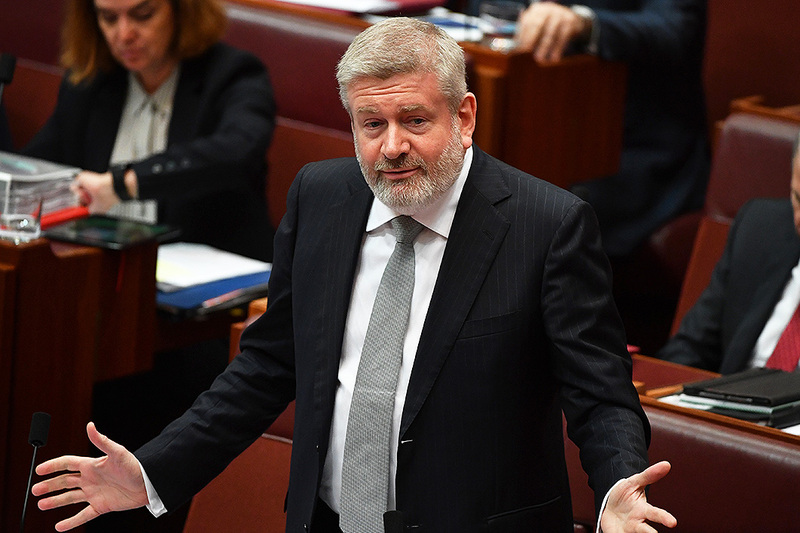 As part of the package, Fifield — who seems to see his ministerial role as harassing the ABC and propping up Foxtel — gave Foxtel a $30 million grant to build up community sports, without calling for tenders. It’s hard to see why, if such a grant was to be made, it didn’t go to one of the five free-to-air networks that are available to 100 per cent of the Australian population, rather than to an operator reaching just 30 per cent. With 1300 events on the anti-siphoning list, Fifield sees no problem in proposing to remove one hundred as part of wider reforms. But the 1300 are not quite what they might seem. AFL rights, for example, comprise 207 events (twenty-two rounds of nine matches, plus finals) and the Australian Open is also made up of a substantial number of individual events. All of this brings us to my query to the Australian Communications and Media Authority, and the ACMA’s decision — “in the public interest” — not to pursue it. In April this year Cricket Australia announced a new agreement with the Seven network and Foxtel, worth nearly $1.2 billion over six years. The Financial Review reported that Foxtel would be paying around $100 million a year compared with Seven’s $80 million. Foxtel will simulcast the test matches and some other fixtures, and will have all streaming rights to Australian cricket. For the first time, however, not all of the fifty-over and twenty-over matches played by Australia in Australia will be available on free-to-air TV. Yet these events are on the anti-siphoning list. This important precedent received only passing attention in the media. I request that ACMA investigate whether the agreement between Cricket Australia and Foxtel breaches the anti-siphoning laws. 1. Until now Australian one day games appeared on free-to-air TV, and are included in the list of anti-siphoning events. 2. There were free-to-air bidders willing to televise those events, although their bid was not as high as the Seven-Foxtel one. The relative amounts bid are irrelevant to the law, and prima facie it would seem the law is being breached and should be enforced. In its reply, which I received in late June, ACMA declined to make an adjudication. It justified its decision in similar terms to those used by Mitch Fifeld and Tim Worner, the Seven West Media boss. Worner told the Sydney Morning Herald that public criticism comes down to a misunderstanding of the list. Seven has the rights to broadcast the games, he said, but has chosen to allow Foxtel to show them exclusively on pay TV as part of the deal. This doesn’t contravene the rules. This is calculated obfuscation. Free-to-air broadcasters don’t have to purchase events, and often don’t, but on this occasion all three had bid. The Worner–Fifield argument means that a free-to-air network acting in concert with Foxtel can move any event to subscriber-only viewing at any time, and always could. The old battleline of free-to-air versus pay has given way to a new phenomenon: a free-to-air network teaming up with Fox Sports and then dividing up the rights. According to the Fifield doctrine, events can be removed from free-to-air whenever these two corporations agree, and any other sense of public interest just disappears. Rodney Tiffen is Emeritus Professor of Politics at the University of Sydney. His latest book, Disposable Leaders: Media and Leadership Coups from Menzies to Abbott, was published last year by NewSouth.